December 29, 2016, 10:39 PM · If you'd like to reflect on some of the good things that happened in 2016, here is a place to start: these fascinating interviews with soloists, teachers, conductors, winners of competitions and makers of violins who live every day with a passion for their art. Here is a reading list of our top interviews of 2016, enjoy! Canadian violinist James Ehnes would rather play for the hundreds of concertgoers who inevitably will fall in love with Vivaldi's "The Four Seasons" than worry about a few who might have grown tired of the piece. Because in more than 20 years of playing it, he hasn't tired of it. What to do, when you want to send your students to the great summer music program you once attended, but it's no longer around? 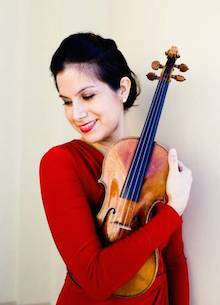 Here's what Danielle Belen did, she started her own: Center Stage Strings, focused on solo and chamber music. Her program, which she started in Three Rivers, Calif., has been going -- and growing -- for seven years. Generations of violinists all over the globe can point to the legendary Yehudi Menuhin as a great inspiration for their art and lives, but for Berlin-based violinist Daniel Hope, it's a little more personal. "(Menuhin) used to say I fell into his lap when I was a babe of two -- that's a pretty good description," Hope told me. 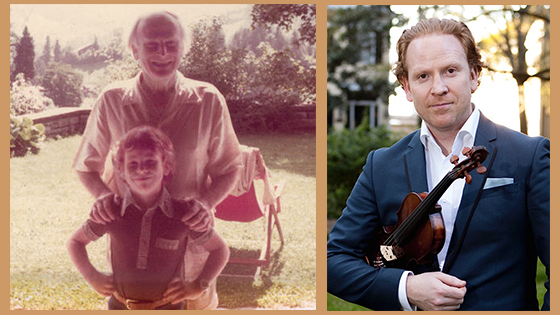 For Hope, Menuhin was a musical grandfather, mentor and lifelong family friend. 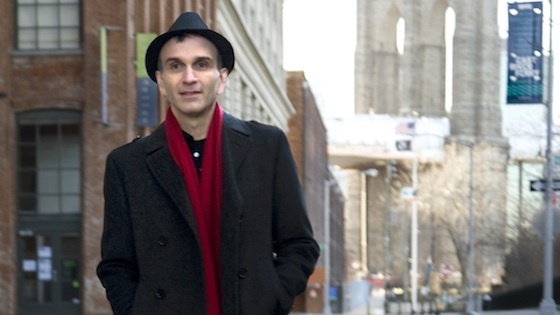 Gil Shaham's ongoing 1930s Violin Concertos project is a lot more than a series of performances of likable pieces -- as the artist himself might lead one to believe. It's nothing less than a revelatory journey through an astonishing time in music history. French documentarist, writer and violinist Bruno Monsaingeon curated astonishing collection of Yehudi Menuhin's writings, recordings, photos and more. His passion for Menuhin seems to have no bounds. Somehow in this fast-moving world of disposable food, Twitter-short conversation and remote relationship, here is someone with an enduring and burning admiration for a fellow human being and his art. What could be behind it? 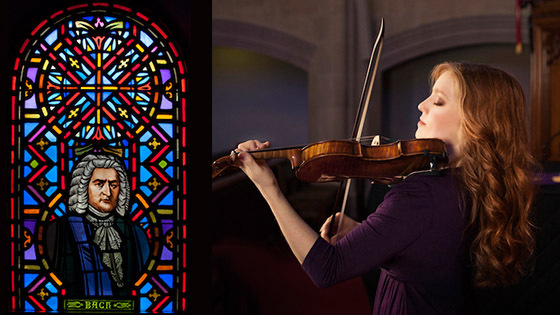 Playing in church is what taught Rachel Barton Pine the meaning of being a musician. It also taught her to love and revere the music of Johann Sebastian Bach, the subject of her latest recording, Testament, which includes all Bach's Sonatas and Partitas for solo violin. How do you make a name for yourself as a violinist, with a name that the world associates with another violinist? In the early days of his career, this was an obvious question for violinist Daniel Heifetz, now 67. Though he publicly claimed no relation to Jascha Heifetz (whom he knew to be a distant cousin), Daniel Heifetz found himself associated with and compared to the famous violinist at every turn. 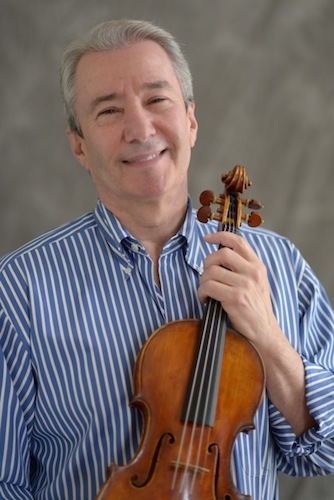 Daniel Heifetz has his own story, one filled with struggle, triumph, disappointment and reinvention. After a violinist wins a prestigious international violin competition, his or her career takes off, in a puff of magic...That's the fairy tale, of course. But in reality, every gold medalist is left to build his or her own success. For Jinjoo Cho, who took home the gold in the 2014 International Violin Competition of Indiana, she is taking those exciting opportunities to tour as a soloist, but she also is building programs closer to home -- her main home being Cleveland, Ohio. 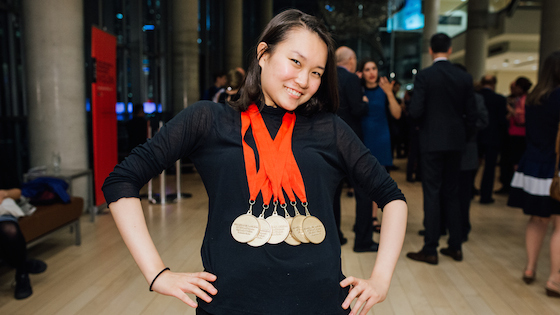 In a way, Montreal International Violin Competition first-place laureate Ayana Tsugi was following in the footsteps of her father, Masahiro Tsuji, when she started playing the violin at age three. "We both were Suzuki kids," said her father, who also started violin at age three in the Suzuki method (in fact, Ayana told me that he studied in Japan with the late Shinichi Suzuki). Ayana also started in the Suzuki method, and though her father is not a professional violinist, he has been a driving force behind Ayana's hard work on the violin. 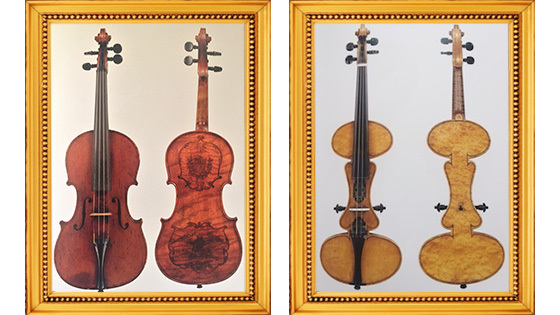 Canada's Musical Instrument Bank -- which has loaned fine instruments to help the early careers of violinists such as James Ehnes, Lara and Scott St. John, Judy Kang, Timothy Chooi and more -- all began about 30 years ago, when Denis Brott couldn't afford to buy a fine instrument. Brott, as well as three violinists, Emmanuel Vukovich, Nuné Melik and Byungchan Lee, speak about how the bank began and what makes it invaluable to young string players in Canada. Any violinist who wishes to play the instrument's most stunning virtuoso literature, not to mention the best of Bach, must master the double-stop. And to master the double-stop, one must make friends with the double-stop scale. Of course, regular scales present difficulty enough. But sliding up and down the fingerboard with accuracy on two strings, two fingers by two -- this complicates matters a great deal more. Simon Fischer's new book doesn't just present a series of double-stop scales to play (as many technique books do), it breaks them down into their simplest components, with exercises that lead step-by-step to the end result: the actual scale. 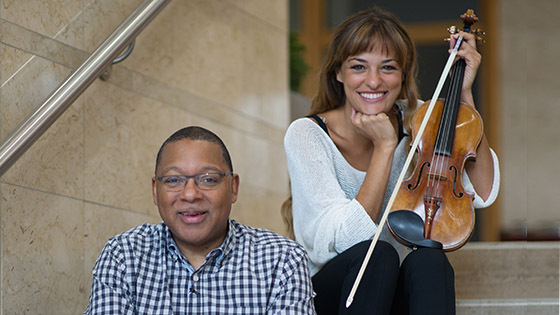 Scottish violinist Nicola Benedetti has a new concerto in her repertoire: a violin concerto written for her by American jazz trumpeter Wynton Marsalis. Marsalis's "Concerto in D" for violin and orchestra -- described as a virtuoso-level mix of American music and its myriad influences -- is making its way across the world, with Benedetti front and center. Where was Edward Klorman when I was drowning in frustration during music theory class? I've always come to music as a violinist -- a one-line player in an orchestra or ensemble. Reading was just a means of getting the music into my head and into my fingers, and though I felt like I had a deep understanding of harmony, it was completely instinctual and experiential. In theory class, everything was so...well, theoretical. 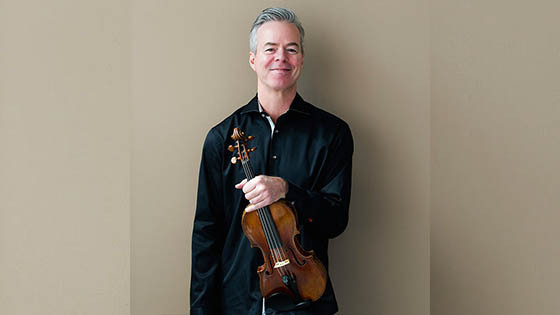 Not so for Klorman, a violist and music theorist who teaches at McGill University in Montreal, having taught theory and viola for 16 years at The Juilliard School. For him, theory is steeped in playing, performing, and history. 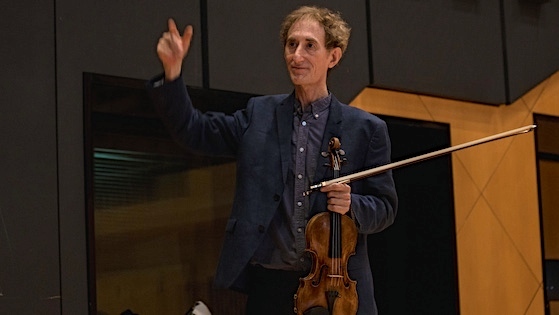 When I first spoke to Milwaukee Symphony Concertmaster Frank Almond about the 1715 "Lipinski" Strad that he has been playing since 2008, he said that it was "an honor and privilege to be passing through its life." That was before the violin and Almond were wrenched apart in a highly publicized 2014 theft, in which Almond was tased and robbed of the violin in a parking lot after a performance on a frigid January night in Milwaukee. Japanese violinist Mayu Kishima had actually quit doing competitions for good -- when she decided to do just one more. "I've done several competitions, and I'm not a good competitor," Kishima told me in the lobby of her hotel in Shanghai last September. Of course, I was skeptical of her view; just the day before she had won First Prize in the inaugural Shanghai Isaac Stern International Violin Competition. But she said that for her, competitions always were a struggle. David Stern was just 16 when his father made his ground-breaking trip to China, documented in the Academy Award-winning film, From Mao to Mozart: Isaac Stern in China. That 1979 trip, made just as China was allowing Westerners visit the country again after a long period of isolation, had lasting significance for the community of musicians in China that had lived through the Cultural Revolution and were struggling to build their cultural institutions anew. In September, David Stern was back in China, serving as co-chairman of the jury for the new competition that bears his father's name, the Shanghai Isaac Stern International Violin Competition. 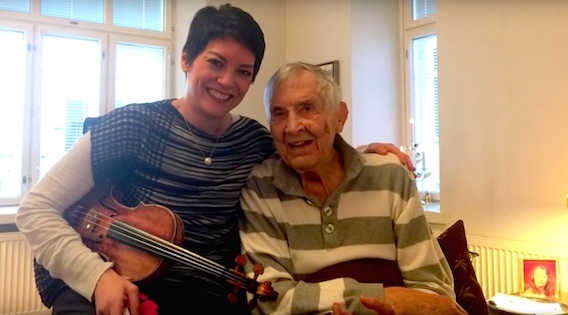 In 2015, Anne Akiko Meyers asked Einojuhani Rautavaara, a composer she'd admired for a lifeime, to write her a piece. If she'd waited any longer, their collaboration may never have happened; Rautavaara died in July 2016, at the age of 87. The work Meyers commissioned, called "Fantasia," was among the last pieces he wrote. As a child learning to play the violin in Shanghai during China's Cultural Revolution, Vera Tsu Weiling hid in a dark basement to practice, using sheets of music copied out in pencil, always with the fear of being discovered and gravely punished. She never could have imagined where she would be a half-century later: back home in Shanghai, sitting among some of the most distinguished violinists in the world - now her colleagues - in a new hall built for the Shanghai Symphony (conducted by her husband Long Yu), serving on the jury of the first-ever Shanghai Isaac Stern International Violin Competition. 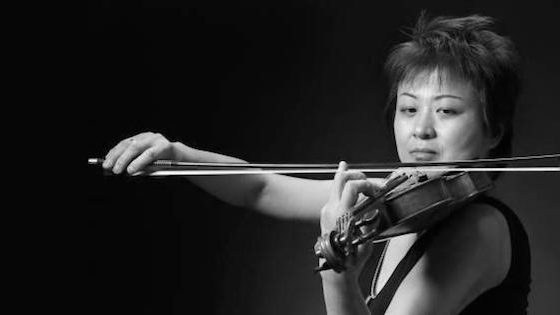 Though she has represented China on juries for many of the most prestigious violin competitions in the world, this one had particular meaning for her. "There is no question that this is the music I grew up on," said Russian-born violinist Philippe Quint of his most recent recording of the Khachaturian and Glazunov violin concertos. "Glazunov was introduced to me by Jascha Heifetz, and Khachaturian was introduced to me by David Oistrakh -- not in person, but both in those records that my family had. You can't just help but instantly fall in love with this music." 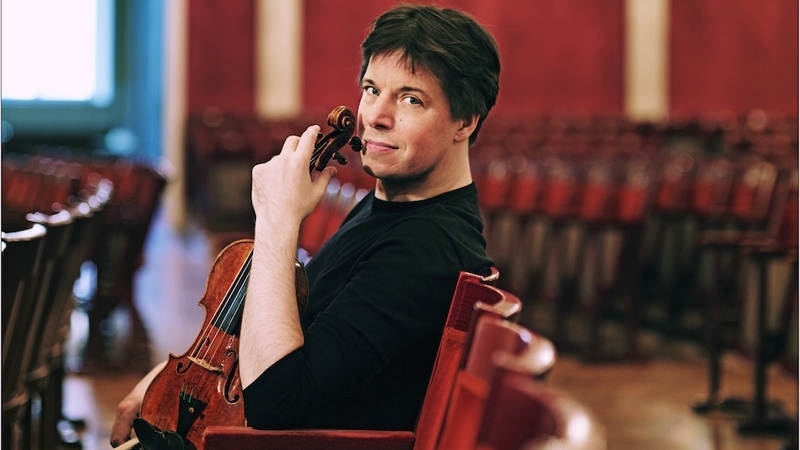 These days, Joshua Bell wears many hats: concert artist, conductor, cultural diplomat, educator. And he's keeping busy. 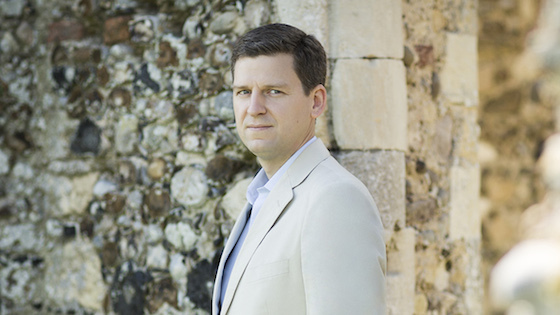 As Music Director of the London-based Academy of St Martin in the Fields since 2011, Bell spends much of the year touring with that group, both playing and conducting. He also just released an all-Brahms album called For the Love of Brahms. 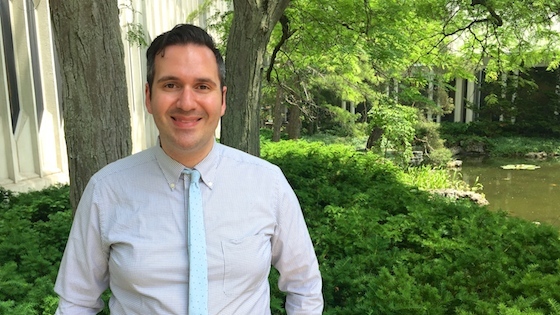 In April he traveled to Cuba as part of a U.S. government-led cultural exchange, and recently he hosted Live from Lincoln Center: Seasons of Cuba. When Bell was in Los Angeles, we talked about conducting, Brahms, his trip to Cuba and the state of music, both there and in the United States. Despite 30-some years of violin playing, and despite growing up in the Soviet Union, Lisa Batiashvili only just started learning the Tchaikovsky Violin Concerto a few years ago. Born in Tbilisi in 1979, "I was hearing this concerto all the time during my first 11 years in Georgia, traveling also for the Soviet Union and doing various competitions. That was the piece that everybody wanted to play. I just thought, I want to do other concerti." 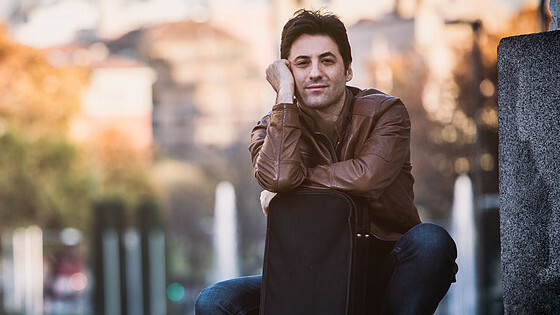 Last fall Batiashvili released a new recording of the Tchaikovsky and Sibelius concertos, with Daniel Barenboim conducting the Staatskapelle Berlin. It was Barenboim who finally convinced her to look at the piece. Violin-making has matured into what many call a "Golden Age" right now in America, but violin maker Christopher Germain can remember a time in his own life when lutherie was an obscure art, and learning it was a mystery. "Growing up, I didn't even know about a program where you could learn to become a violin maker in America," said Germain, 59, a Philadelphia-based luthier who has made some 150 stringed instruments over his career. We spoke in Los Angeles last summer. With so many classically-trained musicians auditioning for an ever-shrinking number of orchestra jobs, sometimes musicians need to find a new path toward employment and artistic fulfillment. Kevin Sylvester and Wilner Baptiste have done just that. 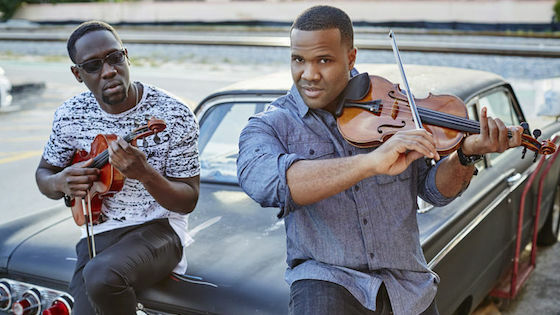 Their band, Black Violin, is something quite out of the ordinary: a meeting and meshing of hip-hop, popular and classical styles. For more of our interviews, check out our book, Violinist.com Interviews, Vol. 1. We are currently working on Volume 2!